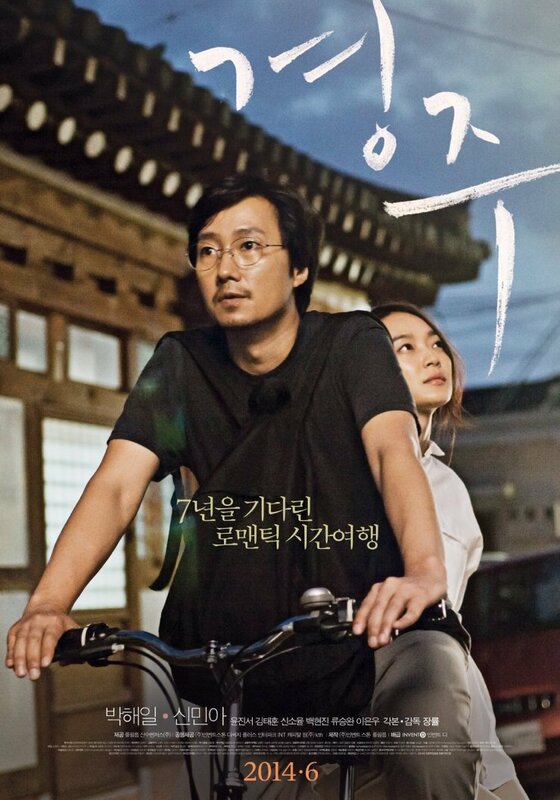 When his childhood friend tragically dies, Professor Choi Hyeon (Park Hae-il (박해일), having spent the past several years working at Beijing University, returns to Korea for the funeral. Hyeon however seems less concerned with reconnecting with old friends than he is rediscovering his roots, and to that end he visits Gyeongju, the former capital of the ancient Silla kingdom full of historical landmarks. Rather than sightseeing, Hyeon is strangely motivated to find an old pornographic painting he and his friends encountered on a trip there years prior. 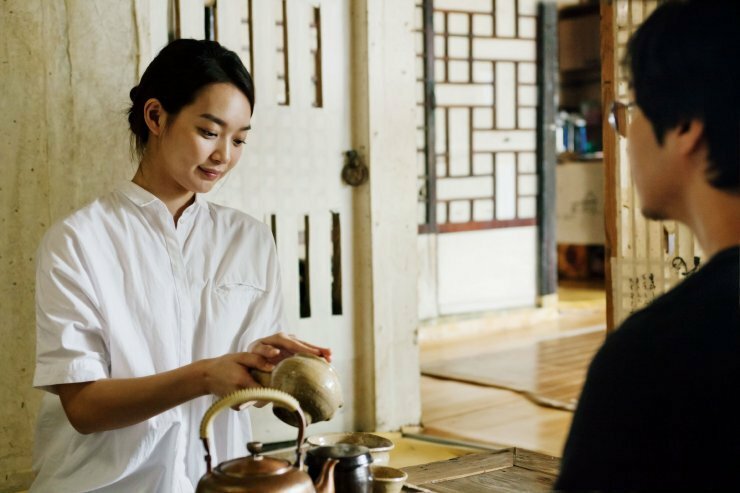 Upon locating the teahouse Hyeon is greeted by the new owner Yoon-hee (Sin Min-ah (신민아) and the two form an intriguing relationship. Gyeongju is a poetic, meditative exploration of history and relationships by director Zhang Lu (장률). That may come as a surprise considering the film has been marketed as something of a romantic-drama (see the trailer below), yet director Lu’s film is far removed from typical genre fare as from the moment it begins it is clear he has crafted an artistically conscious, rather than commercially minded, examination of relationships. The approach subtly inhabits every sentence and every frame as Hyeon attempts to explore and understand his complex connection with history, and how the relationships of his past inform his present. As the story is so introspective director Lu relies heavily on visual aesthetics, skillfully composing highly attractive shots of Hyeon, particularly in relation to his surroundings and with other people, to convey a wealth of powerful yet understated meaning. Many of the shots within Gyeongju certainly wouldn’t look out of place in a filmmaking textbook such is the director’s prowess, notably in the manner in which he employs space and distance. The meticulously constructed, elegant shots at Yoon-hee’s Arisol Teahouse, for example, are emblematic of his penetrating insight into the psychological state of the characters within. As Hyeon walks around the old capital contemplating the landmarks and the people he encounters, it becomes increasingly clear that the film is also highly concerned with the notion of identity and belonging. 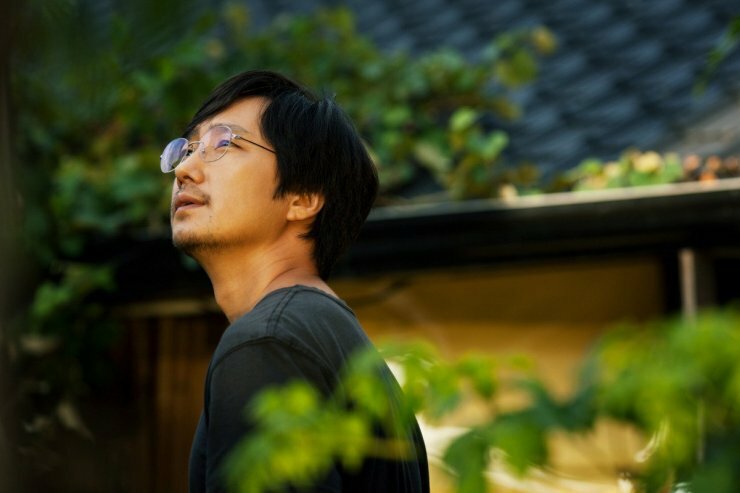 As a Korean living in China and married with a Chinese woman, Hyeon lost his connections with not only his friends but also his country, history, and sense of identity. As such Gyeongju serves not only as a place for quiet contemplation but also an arena in which he attempts to trace his roots, which proves increasingly difficult the longer Hyeon stays there. His troubled psychological state finds a companion in Yoon-hee, who is also unsure of her place in the world. Their connection is not so much romantic as it is motivated by a desire to belong, and as the two are surrounded by history and death (in the form of tombs), the film puts forth interesting debates about the nature of relationships. At 2 hours and 20 minutes however, to say that Gyeongju is overly long is quite an understatement. As the film is so introspective Gyeongju is an incredibly slow-paced affair, and while for the first hour the story is compelling enough for it not to be an issue, when the film begins to meander viewing becomes somewhat laborious. Primarily this occurs during the scenes at night, when Hyeon and Yoon-hee develop their relationship further which feels not only contrived but also unnecessarily long, despite great performances from Park Hae-il and Shin Min-ah. Bizarrely, after 2 hours of controlled and moderated pacing, Gyeongju suddenly becomes in a big hurry to end, which results in an unsatisfying finale to an otherwise deep and insightful film. Gyeongju is a poetic, introspective exploration of history, identity and relationships by director Zhang Lu. The film is very much artistically focused rather than commercially orientated, and as such it benefits from wonderfully composed shots and framing devices, as well as a controlled meditative pace, that subtly convey a wealth of meaning over exposition. Yet at 2 hours and 20 minutes Gyeongju is also incredibly overly long and feels particularly laborious after the halfway mark, while the artistic sensibilities won’t be for everyone.